Carla is a lifelong resident of Southeastern Ohio. Her years of experience and extensive training in real estate, auctions, managing home financing, government requirements, residential title work and local market indicators give her clients confidence they are being served well. Her experience has taught her that when working with clients listening is more important than talking. At the same time she understands her local market knowledge is extremely valuable to those in the selling or buying process. Carla’s range of experience reaches from first time home buyers to those in the empty nest phase looking to downsize whether it is conventional, auction, recreational, commercial or rental properties..
Buying or selling your home is one of the biggest decisions you’ll ever make. Carla is a full service Real Estate Agent that is focused on your goals of selling, buying or auction. She aims to make the home buying/selling experience stress-free by guiding and educating her clients through the process from start to finish. Along with selling real estate she is an Office Associate at the OSU Extension Office in Noble County where she has been employed for over 22 years. There she works with the 4-H, AgNR, FCS and Community Development Programs. She is a 4-H Volunteer, a 4-H club leader and also enjoys working with Junior Fairs including putting together and clerking Jr. Fair Sales. Carla is the proud mother of four active children and is involved with the Athletic Boosters. She is a graduate of the Leadership Noble program and an Honors Award recipient. 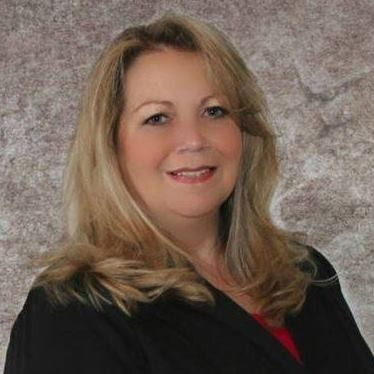 Carla graduated from Meadowbrook H.S., Mid-East Career & Technology Center (Zanesville), Hondros College for Real Estate Sales and has also attended Zane State College. Carla will go the extra mile to ensure her client&apos;s needs and wants are met. "I highly recommend Carla as your Real Estate Professional! She is very down to earth and helpful! She will make sure you find your perfect home!" "Huge huge HUGE thank you to Carla Jo Leonard-Wickham with Ben Schafer Realty!! She has made this process such a breeze!! Still can’t believe how fast this has all went "